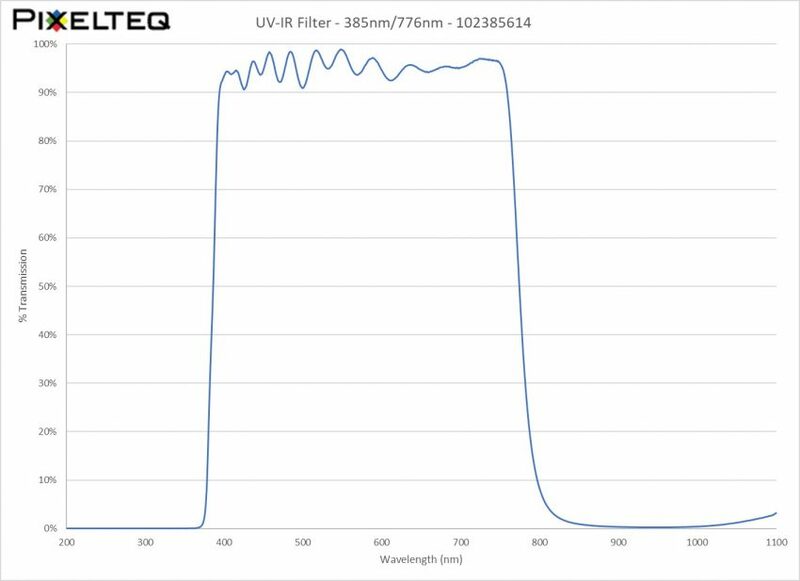 PIXELTEQ’s UV-IR filters are high performance filters, blocking ultraviolet and near infrared radiation from high intensity arc lamps in illumination and projection display systems. 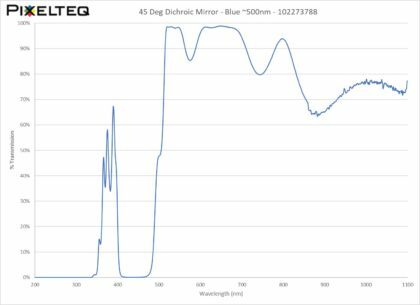 These filters suppress UV light that can damage microdisplay panels, polymer optics, and other optical components. IR blocking reduces the heat load on these components throughout the optical train. The excellent transmission of visible light provides high brightness and neutral colors. 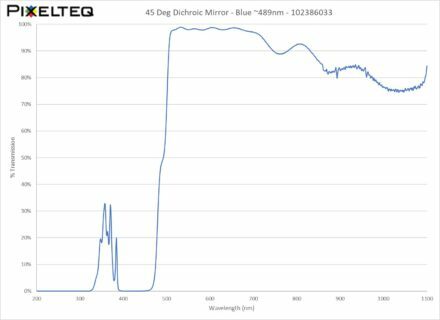 These filters are produced with proprietary sputtered deposition technology, providing very dense filter coatings with excellent optical stability both at higher operating temperatures and varying environmental conditions. 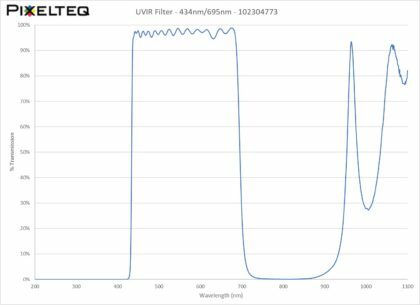 Custom OEM UV-IR filters available to match specific angle and wavelength requirements – engineered for your specific illumination source & optics to deliver the targeted blocking. In addition to customized UR-IR filter coatings, the optics are delivered in the form to fit your application – in specific substrates, shapes, and sizes.